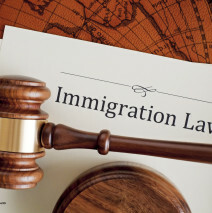 Immigration law is a guideline to a stateâ€™s rules and regulations that determine who is permitted to enter the country, and how long they can stay. The law is also used in the naturalization process for emigrants who want to change their citizenship. Different states have different rules that govern immigration law, but the bottom line is that they deal with foreignersâ€™ entry into a foreign country. It is therefore important to have the basic knowledge about immigration law that governs the country that you intend to visit. Immigrant visa- also known as green card, it is most common in the US and it allows a foreigner to be a permanent resident and can live and work in the country. This status can expire if the person is involved in criminal activities or the government decides that the holder is no longer entitled to that status. 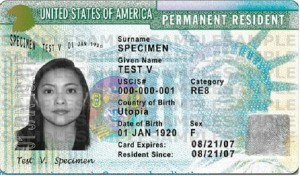 Non-immigrant law-this is a temporary visa that permits aliens to visit a country for a certain period and for specific reasons. This could be as a tourist, business trip, refugee, for sport activities and much more. Visa card is always issued in the alienâ€™s country. This is different from visa card and is issued by a foreign government. This legal document contains details of your stay and the expiration date of your status. This is the act of banishing foreigners from staying in the country and they can be transported back to their country anytime. This occurs when aliens over-stayed past the status on their visa, is in the country illegally, lose the legal status, or is a criminal. The person will be detained while the government conducts deportation process. Every state has immigration officers at their entry points that investigate the alienâ€™s immigration status before allowing them into the country. This is done to prevent criminals from entering the country and commit more crimes. Some criminals enter foreign countries through the borders where there are no surveillance cameras to track them down. This has made most states to come up with Customs and Border Protection law which ensures that the borders are safe by having patrol officers providing security. There is also a situation where people apply for citizenship in a foreign country. Different states have different rules that they apply when it comes to granting an alien citizenship. Most of the states consider people who are 18 years and above, have no criminal record or are well informed about the history of the country. You should therefore understand immigration laws of different states before applying for immigration. Every state has immigration attorneys who are always ready to help citizens with the right information they need before visiting a foreign country. Once the attorney has the basic information about you and the reason for your visit, you will be briefed about your rights and when you can contact him.